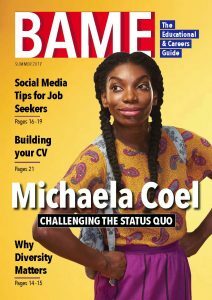 The official BAME: Education & Careers Guide will help to bridge the gap between the majority and the minority when seeking a career path in any industry. 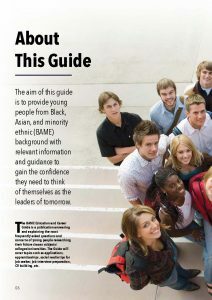 The BAME: Education & Careers Guide will provide access, training and mentoring to the outstanding members of under-represented minorities. 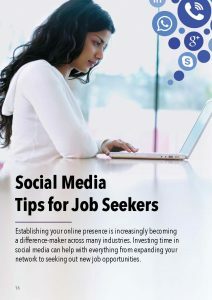 Together, we will assist the development of the next generation of leaders from minority groups who will bravely break down social, cultural and economic barriers providing easier access for those who will follow in their footsteps.